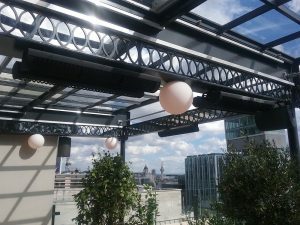 50 zero light Aspect XL3s mounted on the steel structure of the rooftop bar – providing comfortable warmth from a discreet solution that blends in perfectly with the contemporary setting. 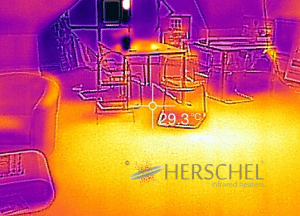 Infrared heating – definitely not hot air! Contact Electrical Whole Ltd are stockists of Herschel infrared heaters.